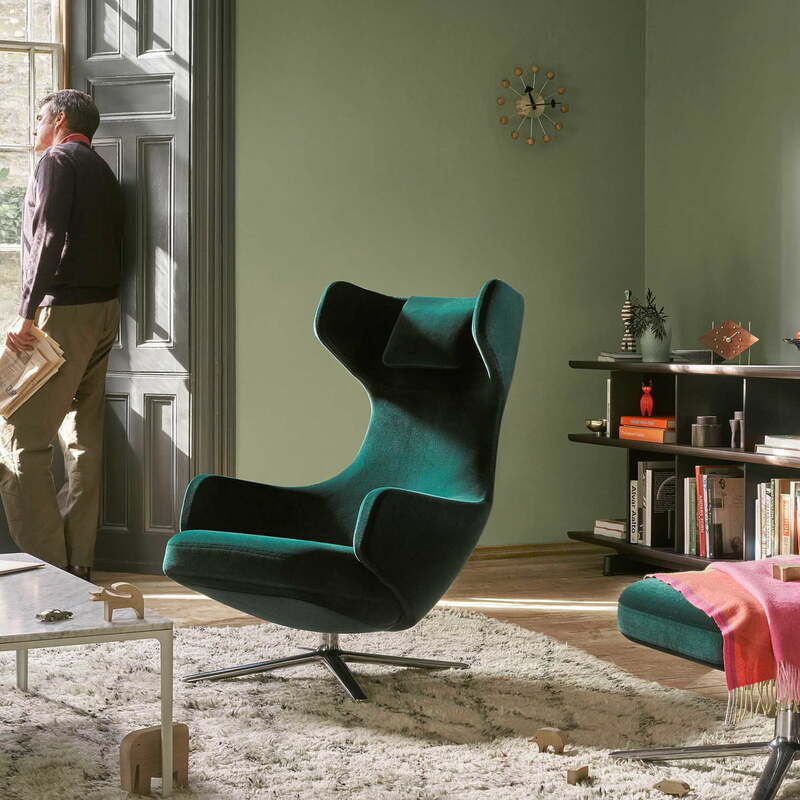 The Vitra Home Complements collection combines iconic designs by designers like George Nelson, with new designs by young designers. 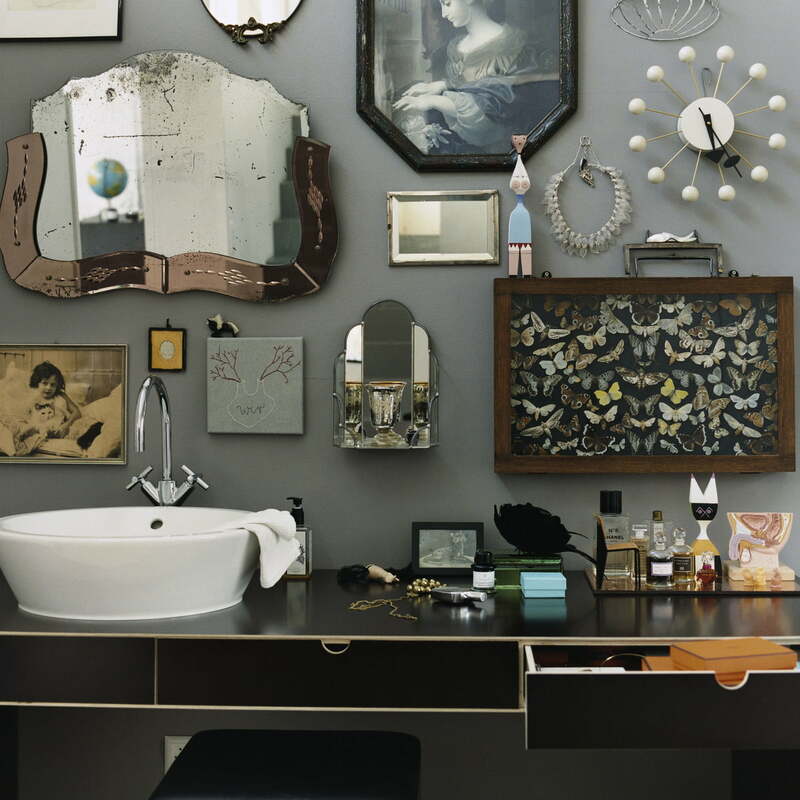 The collection includes design objects, home accessories and textiles. Timeless companions for a special atmosphere, including a selection of table and wall clocks by the American designer George Nelson. For the Howard Miller Clock Company, George Nelson designed a variety of table and wall clocks, which embody the "joie de vivre" of the 50s and 60s. 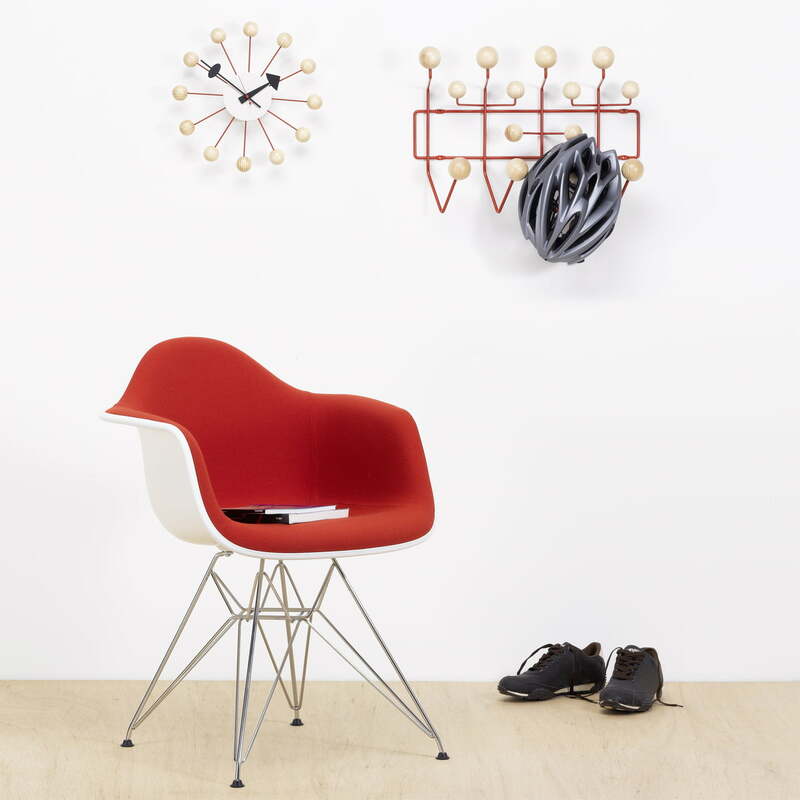 Selected designs from this period can be found in Vitra's Home Complements Collection . 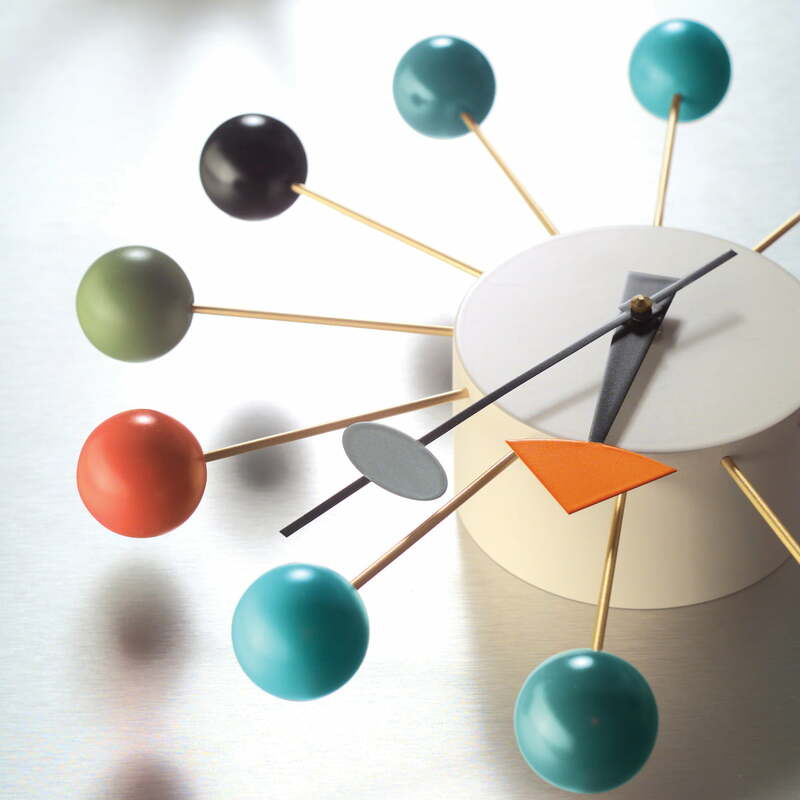 The wall clock is a true-to-the-original re-edition of the 1949 clock designed for the Howard Miller Clock Company. It impresses with a high-quality material processing and sculptural form. The distinctive hour markers and colour-coded hands ensure good readability. 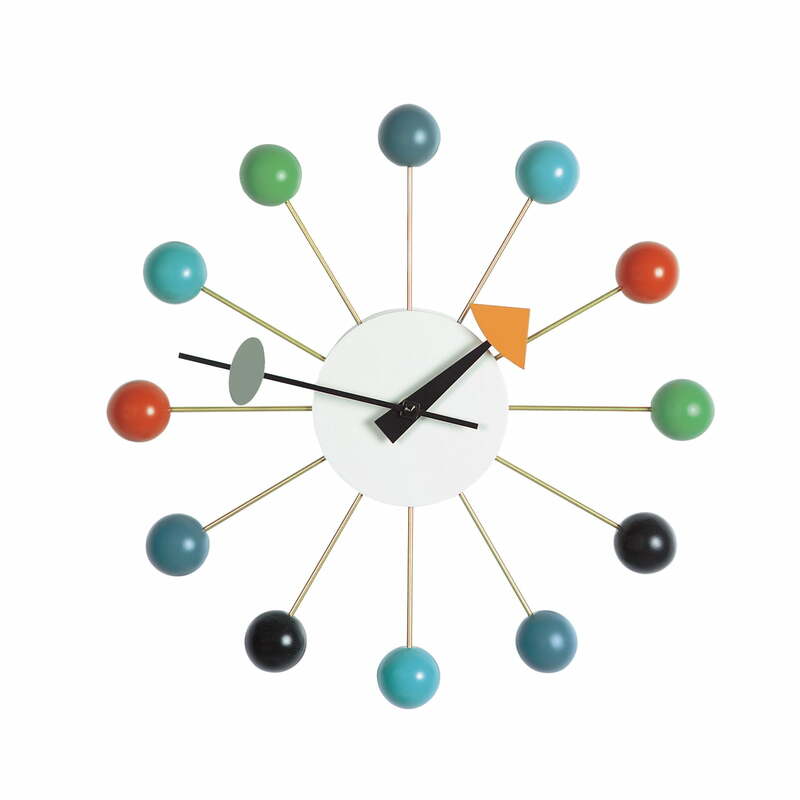 All Vitra clocks from Georg Nelson come with high-quality quartz movements. 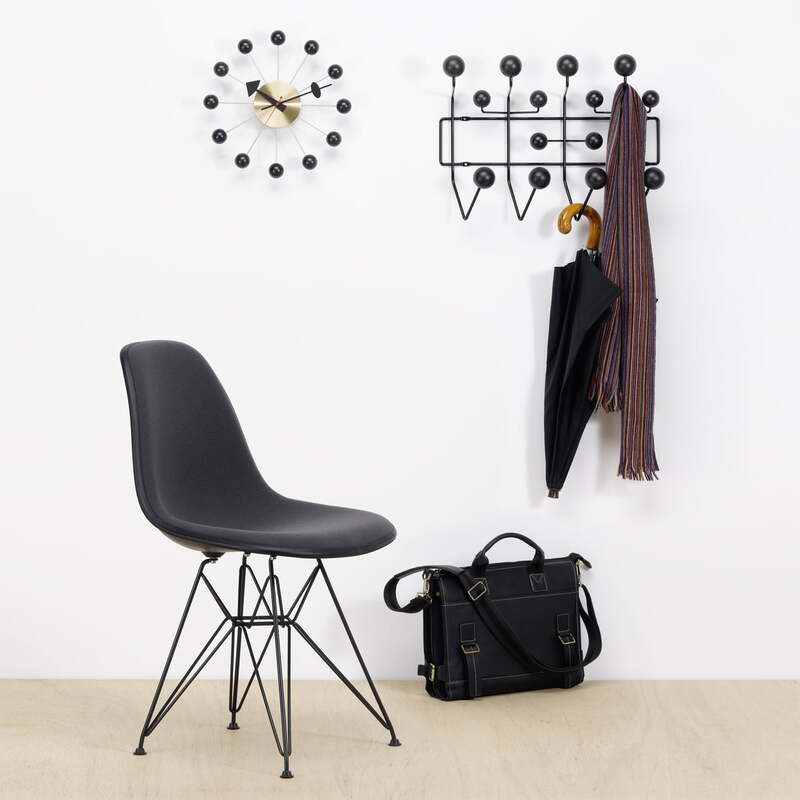 The wall clock is an authentic re-edition of clock designed in 1949 for the Howard Miller Clock Company and cuts a fine figure above the Grand Repos Armchair and Ottoman.